Tired of paying rent? 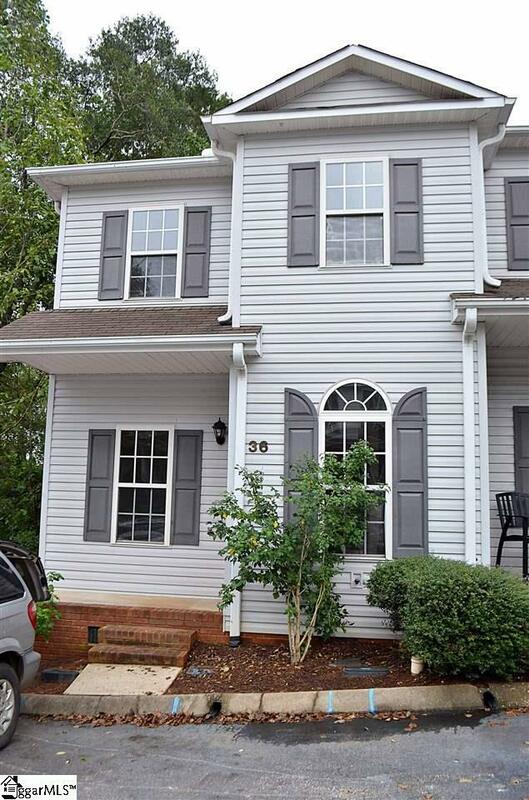 This lovely two story townhome has a perfect Greer location right off Wade Hampton Boulevard! Move in ready! Be central to everything that Spartanburg and Greenville has to offer! 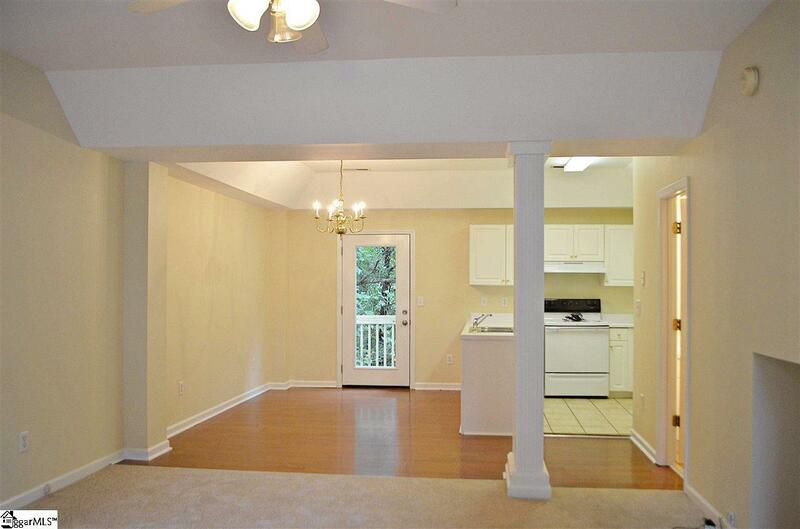 This end unit has a very open floor plan on the main level with high ceilings! The kitchen and dining space have a trey ceiling over them. The living room features new carpet. 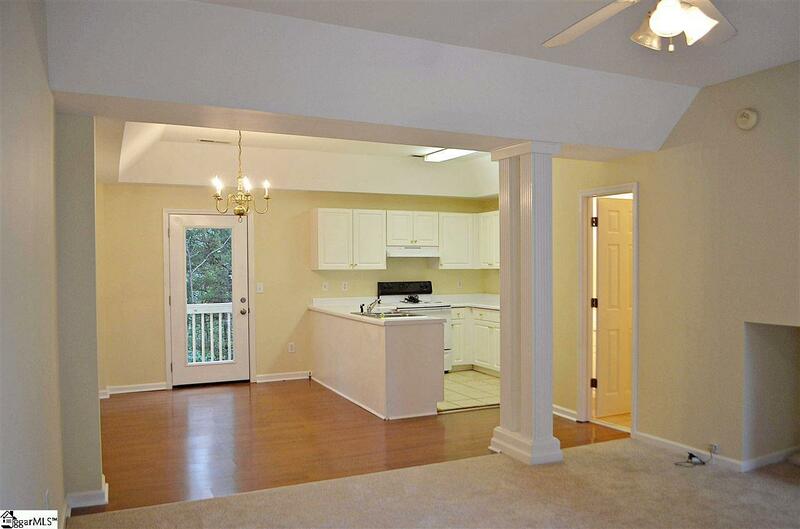 The main level is a great layout for entertaining! There is even a powder room for your guests on the main level. Off the newly redone rear deck, there is a great storage closet! 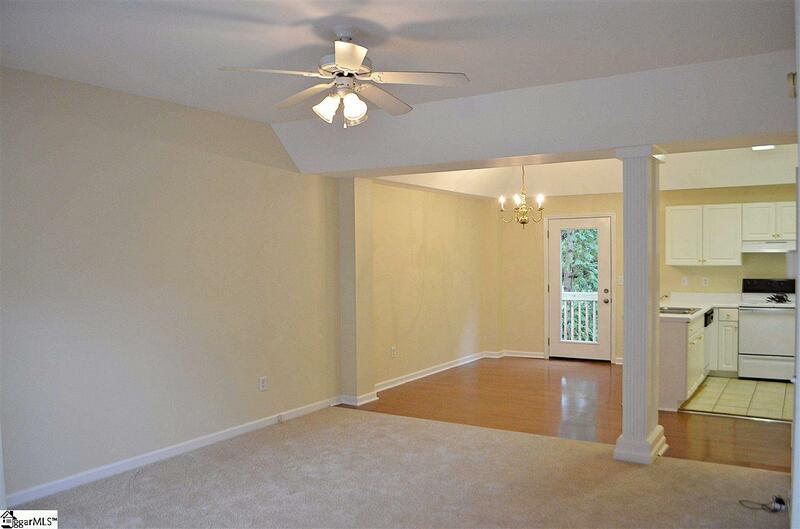 Upstairs, you will find two bedrooms with private baths for each. The secondary bedroom has a nice walk in closet. Both baths have shower/tub combos. Laundry is located upstairs between the bedrooms. View from the rear of the unit is a private, wooded back drop and VERY peaceful! Home Owners Association fees are as low as you will find in the Upstate! No more yard work! Great buy in the heart of Greer!